Our custom pillows are assembled one at a time in Newton, North Carolina. We cut and sew each pillow to order. This is true custom. 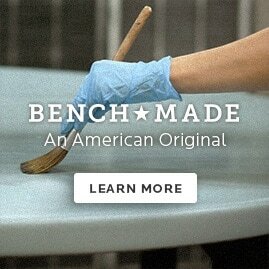 With Bassett, you get custom furniture without the customary wait. You’ll find yourself wanting more than just one. The right pillow can bring a designer touch to any room. We offer a variety of shapes to choose from: square, box, round or kidney. Our custom design experts can help you find the perfect pillow for your perfect room. We make four different sizes of square, box, round, and kidney pillows. Whichever you choose, we can make a pillow that is “just right” for you. Bassett gives you true custom options: lots of shapes and sizes for any space. You can design exactly what you want. Click here to see the options. We have 800 designer fabrics to style your upholstery perfectly for your home. We can add contrasting welt, bias welt, cord or fringe. It’s like creating a work of art. Except it’s comfortable.